One of the great things about being a writer is getting to know other writers not only to appreciate their work and learn from them but also because writers make terrific friends. From time to time, I’m going to invite writer friends as guest bloggers to share with you news about their books, their insights into the writer’s life and anything else that strikes them. I’m thrilled to have my friend Stephen Gallagher, one of the UK’s top crime writers and a fellow member of Top Suspense Group as my first writer guest blogger. Take it away, Stephen! In the changing-tent behind a Philadelphia fairground boxing booth, Pinkerton Detective Sebastian Becker confronts the battered fighter whose unmasking he’s just witnessed. A wanted criminal in his native England, Tom Sayers was responsible for the ending of Becker’s police career some fifteen years before. At last, here’s Becker’s opportunity to uncover the truth behind the mystery. 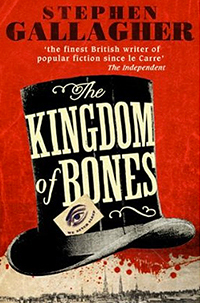 The Kingdom of Bones, the first of my novels to feature Sebastian Becker, gets its British paperback edition from Random House’s Ebury Press in December. Just the right time and price for your winter reading and stocking-filler needs, dare I suggest. Becker’s story will continue with the UK paperback of The Bedlam Detective, which will be released at the same time as the US edition in early 2013. 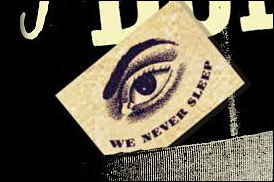 The novel is a macabre historical, set in the world of Victorian theatre and spanning two continents. It gave me a chance to make something of the fascination with Belle Époque era sensational fiction that I’ve carried with me since my teens. Becker is my own creation. Tom Sayers had several lives before I got hold of him; he was the leading story character in The Marvel, an Edwardian story paper that sold for a penny. That version of Sayers was based on an actual historical figure, much altered and mythologised in print by Amalgamated Press writer Arthur S Hardy. The original Sayers was a bricklayer and bare-knuckle boxer whose heyday was in the 1850s and who died in 1865 at the age of 39. By his reputation he was a ‘working class hero’, sportsmanlike in attitude and almost invariably matched to bigger opponents. What Hardy did with Sayers was comparable to the pulp transformation of the real-life William Cody into a fictionalised version of Buffalo Bill in the USA. The dates and the facts were discarded, and something new was minted out of selected and altered elements. Sayers the bricklayer became Sayers the gentleman, the bareknuckle fighter became a Queensbury-rules boxer, the circus proprietor became a legitimate stage actor and performer in Music Hall boxing sketches. What I’ve done with Sayers is neither to use the historical personage nor to lift Hardy’s creation but to create a new character out of the same ether, a figure occupying the space between the early Victorian fighter and the Edwardian pulp hero. He moves in a world that includes such real-life characters as occultist Liddell Mathers and theatrical figures like the great Sir Henry Irving and Ellen Terry. Sebastian Becker, the Pinkerton man, is the fighter’s nemesis, his pursuer, ultimately his ally in an impossible and dangerous romantic quest. But at heart it’s your basic tale of love, loss, redemption and an epic journey out of a personal hell. I *love* the book jacket. It reminds me of the US TV series, Carnivale, which we absolutely adored. I will treat myself to a copy as soon as it comes out. Good luck, Stephen!